Binary Mayor Scammer and Hypocrite! Binary mayor is a scammer and a hypocrite. I told myself for a long time that I was going to be the bigger man and ignore the senseless attacks launched at me by this parasite, but today I’ve hit the tipping point. It’s time that we take a close look at this nasty binary options affiliate marketer and expose the dangerous truths. In my eyes, there is nothing worse than a hypocrite and that’s exactly what we are dealing with today. This self-proclaimed mayor of binary options does nothing to add value to the binary options community. All he does is sit on the sidelines and throw dirt at anyone with a reputation in order to get his website a few clicks. Well, you’re going to get a few clicks today, from people who see you for what you really are. Someone who can’t be trusted. So why does the Binary Mayor want traffic on his website? Well, it says that he will teach traders how to trade binary options, avoid scams and make money online. I’ve spent a couple hours on his website and I don’t see one article or discussion about how to trade binary options. The only thing I see is an affiliate marketer trying to get traders to sign up with binary options brokers for a sweet commission. Plastered on the right side of the page are affiliate links to IQOption, TradeThunder, PorterFinance, Magnum Options, Boss Capital, Cherry Trade, TopOption, StockPair and AnyOption. So not only is he a scammer and a hypocrite, but he’s also a liar. To top it all off the binary mayor doesn’t even have an earnings disclaimer on his website. So he’s hiding the fact that he makes commission off of YOU. Real nice, you wouldn’t be the Mayor in my town. I say that we vote for a recall election and remove this self-elected scumbag from office. 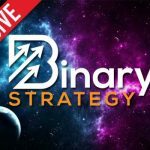 Not only does the Binary Mayor attack real binary options strategies and systems. He does everything in his power to promote automated trading systems that have been proven to be scams. How fitting, the binary mayor gives the auto binary signals software an 8.4 out of 10. Are you kidding me? The auto binary signals system has no real binary options strategy. It doesn’t monitor charts or analyze data, it’s a flip a coin trader and it doesn’t surprise me that the Mayor doesn’t know this because he doesn’t try any of the systems that he actually reviews. When I wrote my review of the abs system I wasn’t very harsh, all I said was I haven’t tested it yet so I can’t give a recommendation but the reader response was not good. Here, go ahead and take a look at some of the comments for yourself. The Binary Mayor is not a binary options trader. He couldn’t tell you the difference between a martingale strategy and a hole in the wall. He can keep attacking traders and real strategies but it’s not going to get him anywhere. It’s definitely time we vote for a recall election and remove the binary mayor from binary options once and for all. Don’t let the door hit you on the way out.